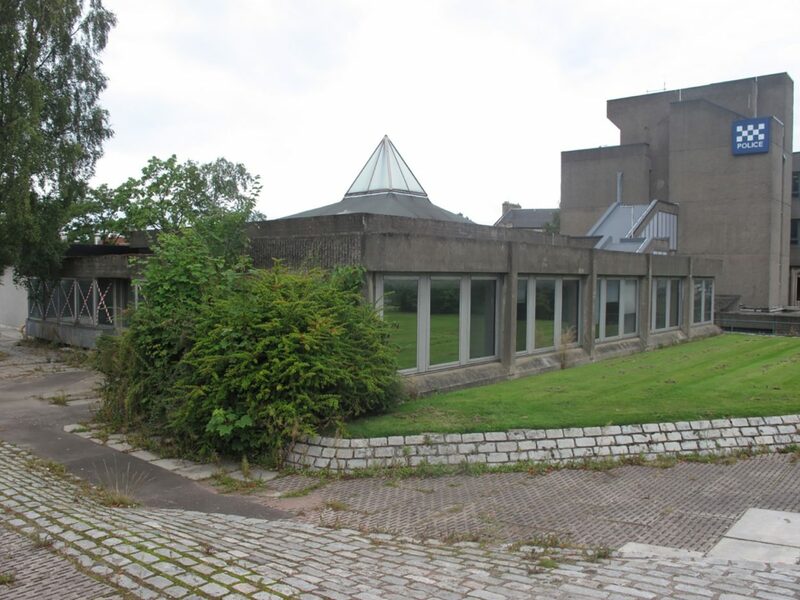 One of the most distinctive parts of the ambitious Brutalist Paisley Civic Centre, completed to an award winning design by HLM in 1958 is its former District Court. 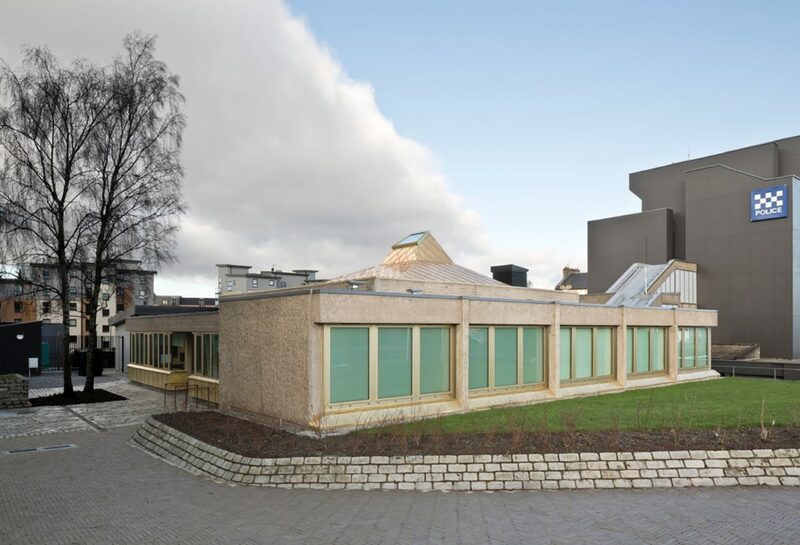 This discrete building is a carefully composed study in concrete with a distinctive pyramidal roof and elevations combining curtain walling, external vertical structure and cantilevered overhangs. Community Safety Hubs aim to bring police, social services and community support officers together to share information and provide cross disciplinary support; improving the service provision of each organisation. The Hub provides a dedicated 24 hour a day facility. It is also supported by the local CCTV service, located within the building. 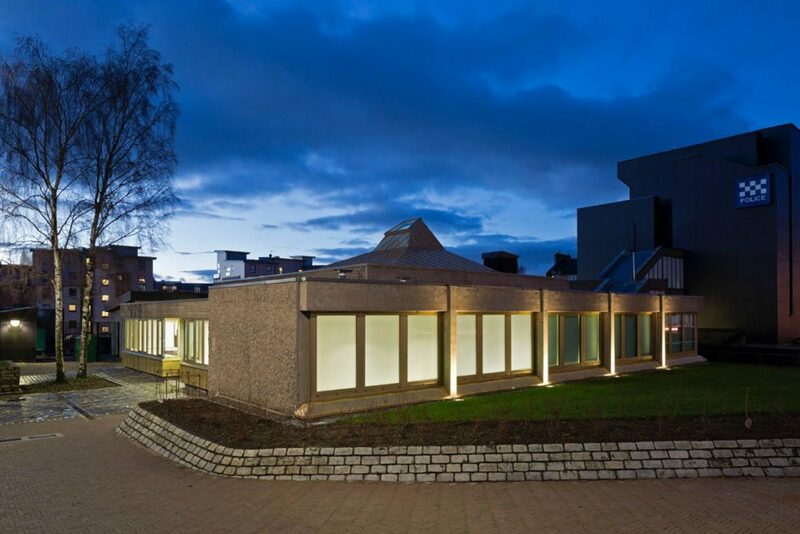 In contrast to the treatment of the remainder of the Civic Centre which was overclad with lightweight panels we wanted to retain the raw purity of the concrete while lightening the building’s appearance and changing public perception. Our strategy was therefore to clean the concrete with a steam system and treat it with a water repelling cream to help retain the lighter colour. 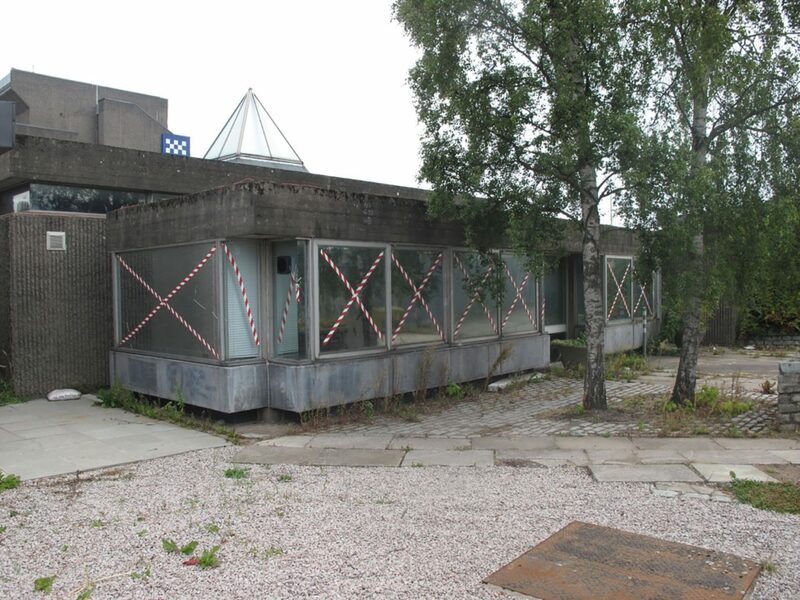 Concrete repairs have been undertaken and left exposed, again to retain the character of the material. 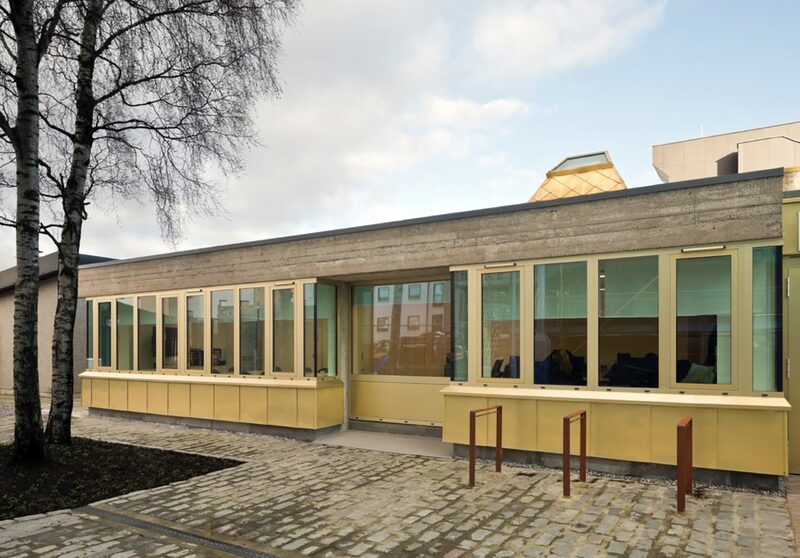 Where damaged lead panels, grey aluminium windows and felt roofs were removed these have all been replaced with a burnished gold cladding and anodised gold aluminium windows. 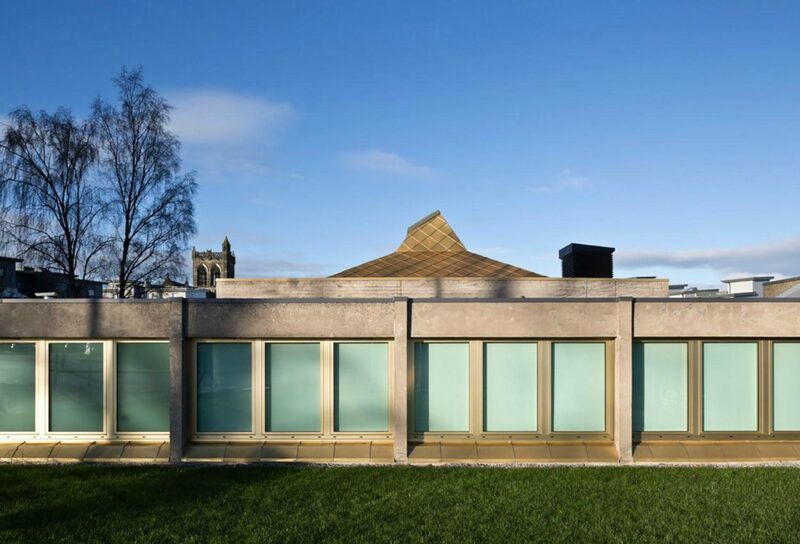 Due to the contrast in colour with the existing building’s materials it was important that the finishes were not painted or coated but that they had a variation akin to the concrete. Natural clay and granite setts allied to planting and corten bike racks complete the exterior material pallette. 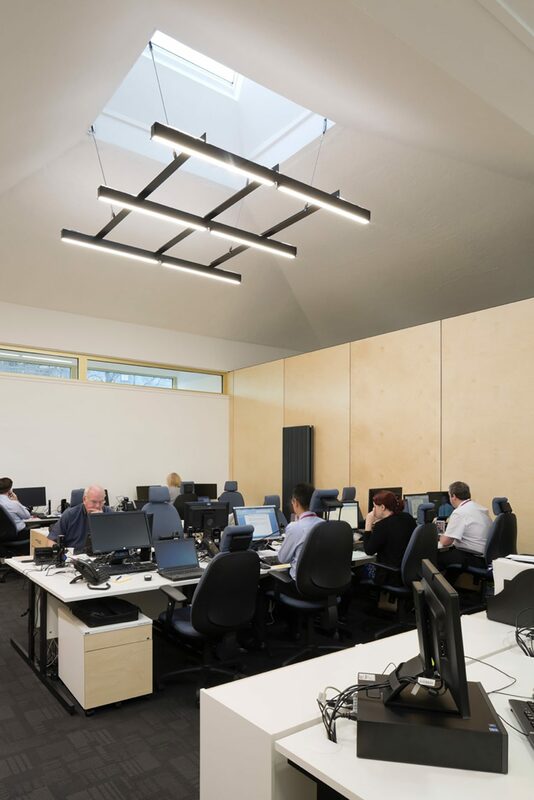 Internally the spaces are flexible (with the exception of the Alarmed Receiving Centre - ARC) to support the ongoing work of the different organisations. The meeting room doubles as offices and a control centre for local events. The ARC is built to withstand forcible entry with bulletproof windows, designed with Schuco. It is the only ARC in Scotland with natural light. 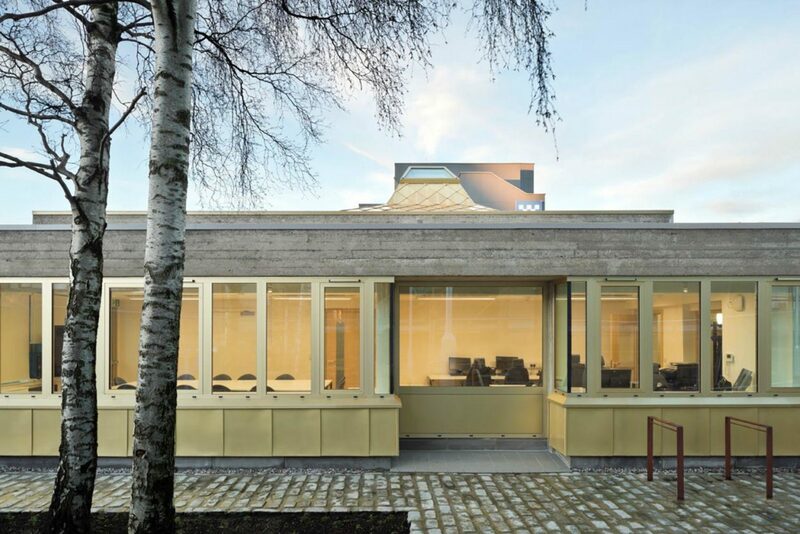 The new heating system in conjunction with a highly insulated envelope significantly reduces the building’s carbon footprint. The walls are insulated internally while the roof is insulated externally, allowing the character of the buildng to be retained along with its themal mass, thereby smoothing out internal temperature variations. 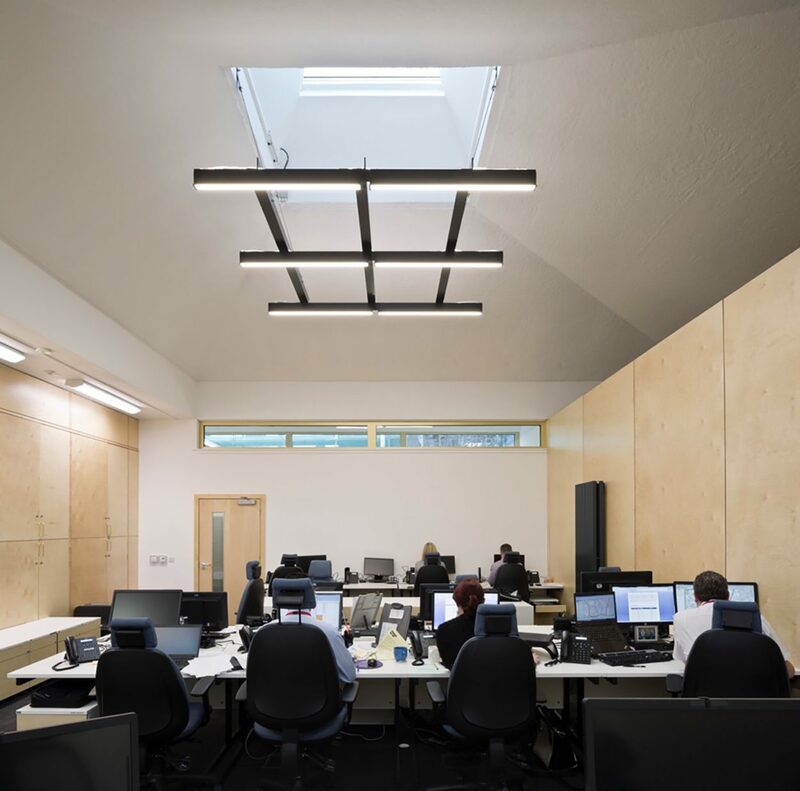 The bold approach was taken in response to the faded grandeur of the Civic Centre and the aspirational work that is ongoing within the building and sets a new design standard for Community Safety Hubs.